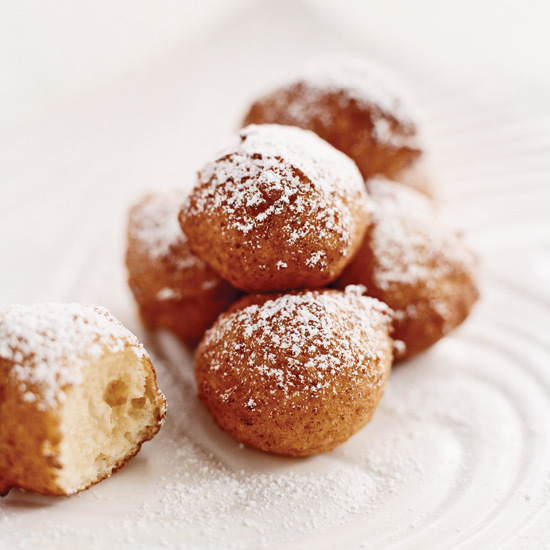 Crispy fritters, whether savory or sweet, are one of our favorite party foods. We love to use seafood, like lobster, scallops and shrimp to make summery snacks, or take a sweeter approach with fresh fruit and creamy ricotta. 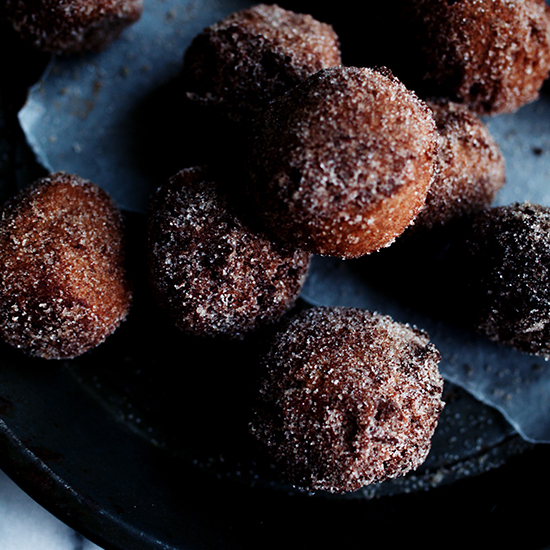 Here, our best fritter recipes. 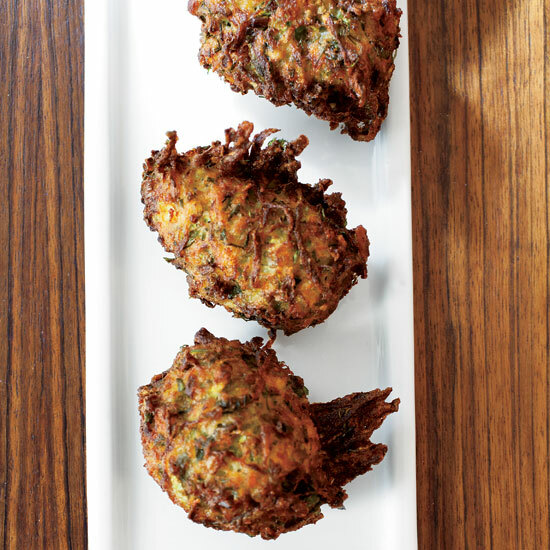 "These are not your usual fritters," says cookbook author Yotam Ottolenghi. His are pancake-like, packed with cauliflower and spiced with cinnamon, cumin and turmeric. As a dipping sauce, he serves lime-spiked Greek yogurt. 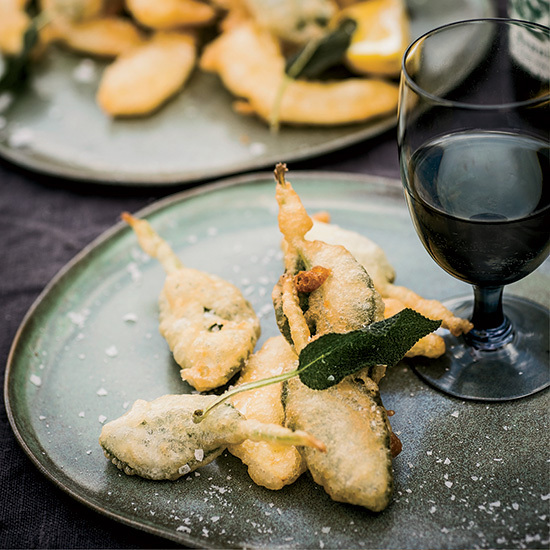 Richard Betts became an expert at frying squash and sage leaves when he lived in Tuscany 20 years ago, using a batter with just two ingredients: flour and club soda. 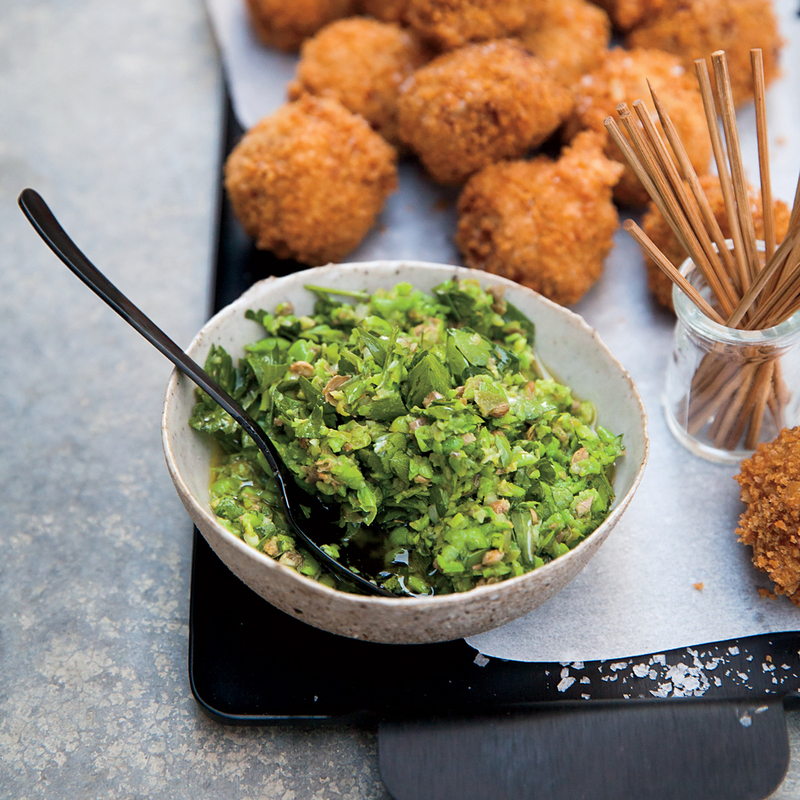 Chefs Sara Kramer and Sarah Hymanson of Los Angeles's Kismet make these freekeh fritters as a playful take on Italian arancini. To get the creamy-chewy texture just right, they cook the lightly roasted green wheat called freekeh risotto-style, adding the water gradually while stirring the grain continuously. 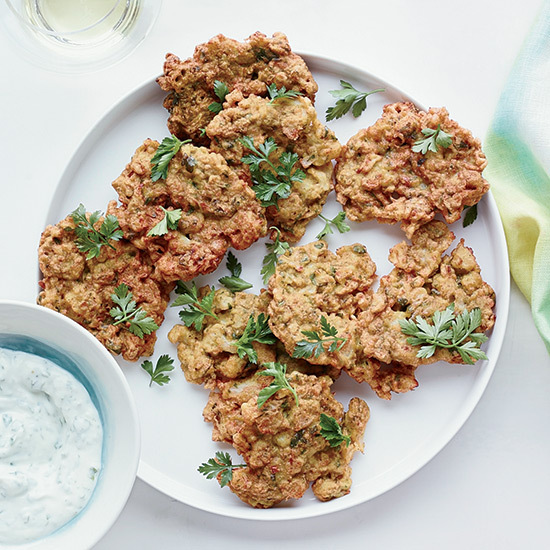 "When I was a kid, my mom fried zucchini fritters when I got home from school; I would steal a couple while they were still hot," says Didem Senol. "My grandmother fried them, too; she'd make the patties thin and dense. When I started cooking, I decided to work on my childhood recipe. I added herbs and feta and reduced the amount of flour to make them fluffier." 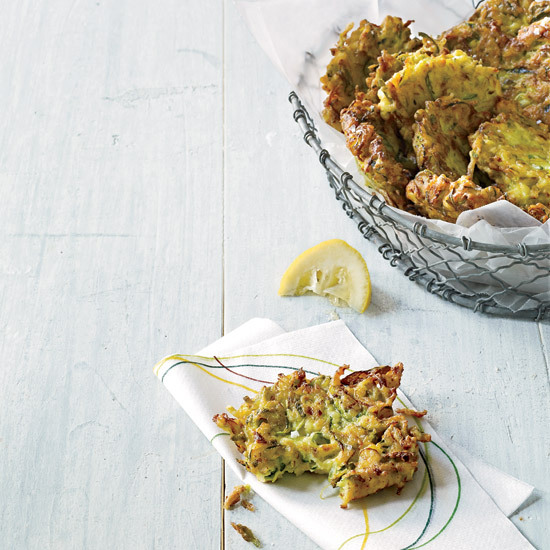 The fritters are terrific on their own or dipped into the yogurt-cucumber sauce. 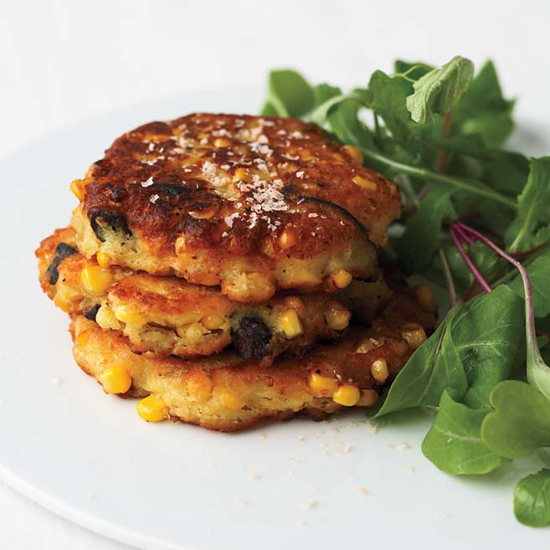 Sweet corn kernels take two different forms in these crispy cakes. Half the corn is pureed into the batter; the other half is sauteed with shiitake and onion to give the fritters crunch. When chef Jimmy Bradley opened the Red Cat in NYC in 1999, he wanted to combine an Italian-American sensibility with his own New England upbringing. The Red Cat Cookbook highlights the inventive, uncomplicated and always memorable recipes from Bradley's restaurant. 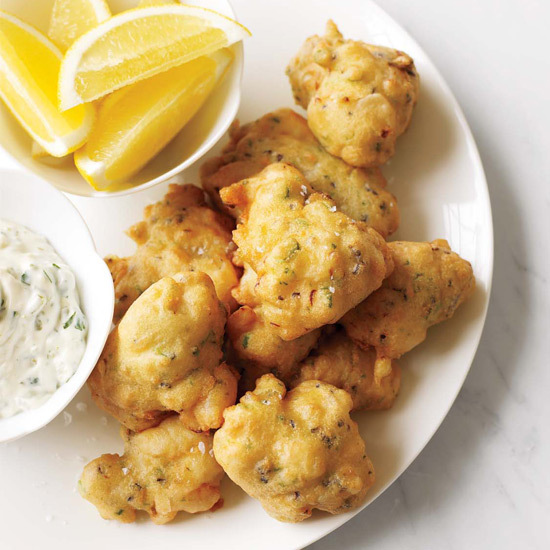 These light, crisp fritters include bits of chopped scallops in a batter made with clam broth and pilsner--the perfect expression of Bradley's New England tastes. 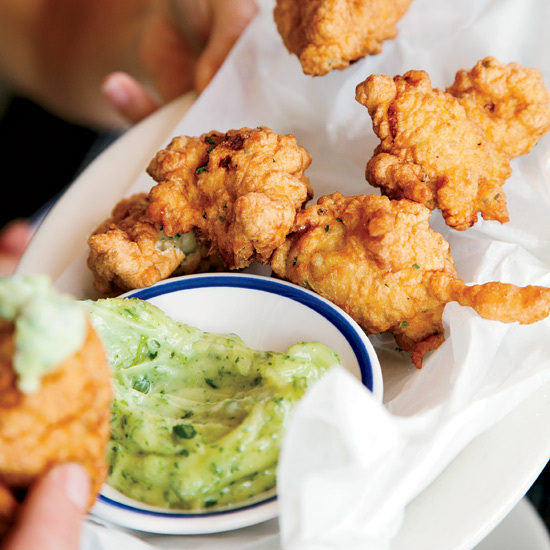 Chef Melissa Kelly of Primo, in Rockland, Maine, features these fritters in spring. They taste like sophisticated doughnuts, especially when accompanied by Strawberry-Rhubarb Compote. Gale Gand, an F&W Best New Chef 1994, is the executive pastry chef and a partner at Tru in Chicago. She's also the host of Food Network's Sweet Dreams. Her follow-up to the cookbook Gale Gand's Short + Sweet is a collection of recipes from Tru. 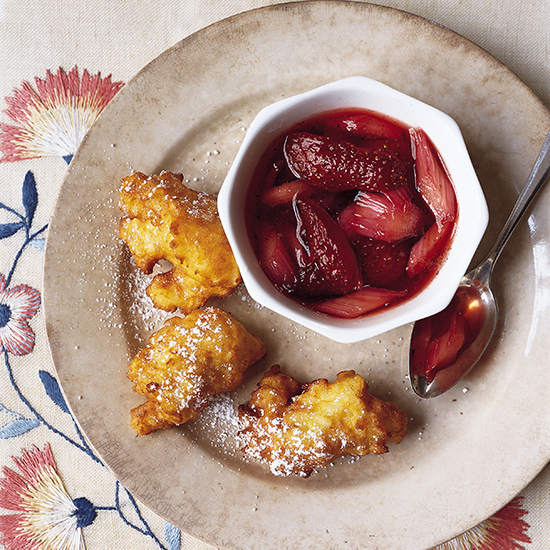 Gand got this recipe from her mother-in-law, Vita Seidita; the fritters are also good sprinkled with cinnamon sugar or dipped in jelly.